The first time I cooked spaghetti squash I was heartbroken. 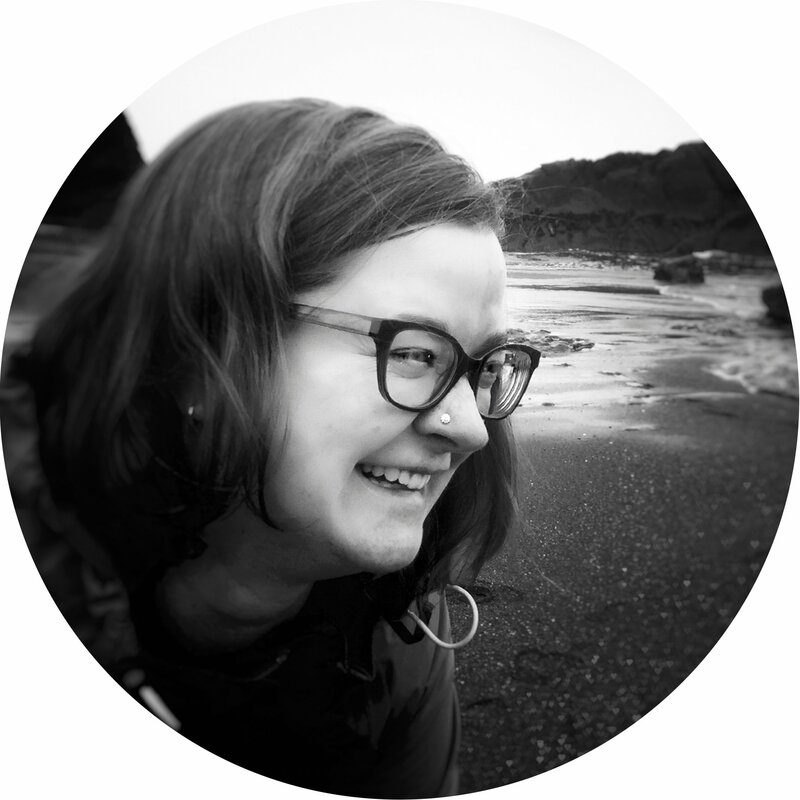 I had recently broken up with gluten and was trying desperately to fill the hole in my stomach left by pasta. And while my marinara game was on point that day, the spaghetti squash only added to my heartbreak. 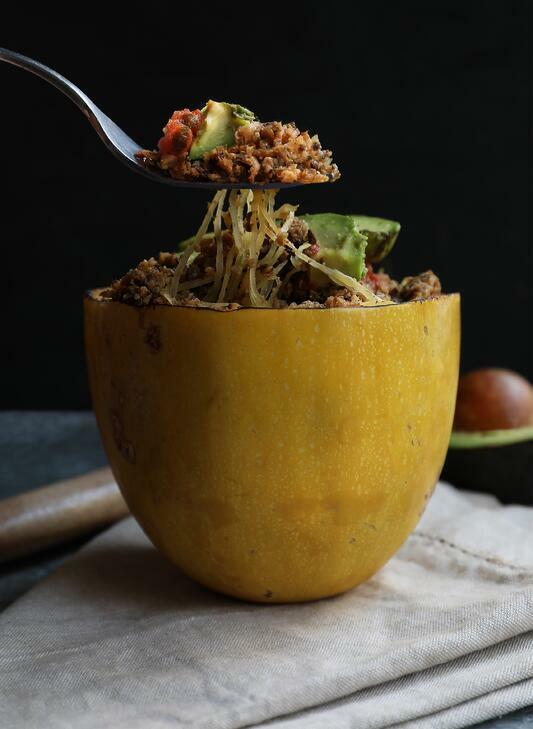 Thankfully a dear friend challenged me to think outside the Italian Seasoning box and these smoky Southwestern-inspired spaghetti squash bowls were born. I love the interplay of these two seasoning blends, the earthiness of the Mexican Seasoning melds perfectly with the smoke and subtle spice of the Mesquite Seasoning. The coconut aminos and mushrooms add the perfect amount of umami to make this dish a savory delight. 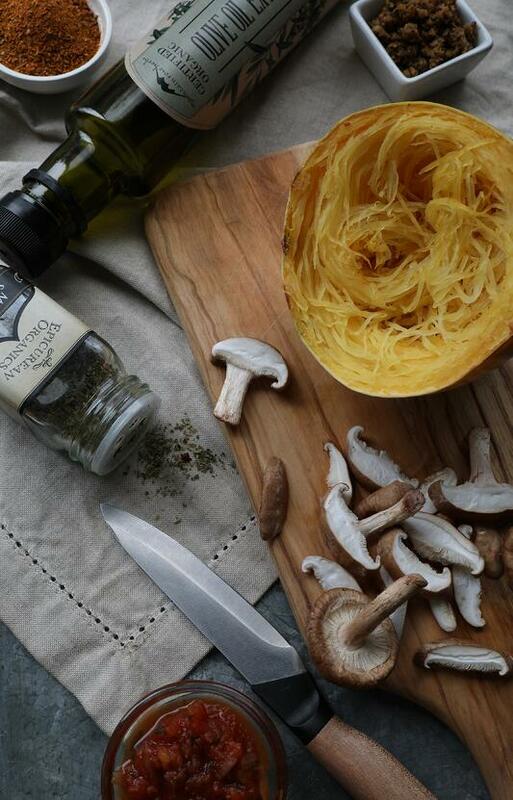 Slice spaghetti squash in half and drizzle with one tablespoon of organic olive oil. Place squash cut side down on a baking sheet and roast for 30-45 minutes. You’ll know it’s done when the edges have become golden brown and the skin can be easily pierced by a fork. While the squash roasts, lightly pulse mushrooms in a food processor to rice-like consistency. Core and chop the cauliflower into florets and pulse in food processor to the same consistency of the mushrooms. When you have 25 minutes left on the squash, heat a large pan over medium-high heat and add 2 tablespoons of olive oil or infused cooking oil. Once the pan is hot add the mushrooms, cauliflower, seasoning blends, and coconut aminos. Stir well to combine. To allow the mixture to brown, don’t stir continuously; give it a good stir every 5 minutes. Allow the squash to cool for a few minutes after coming out of the oven. Then, using a fork, scrape out the majority of the spaghetti squash's interior, leaving behind a spaghetti squash "bowl." Mix the squash in the pan with the rest of the vegetables. 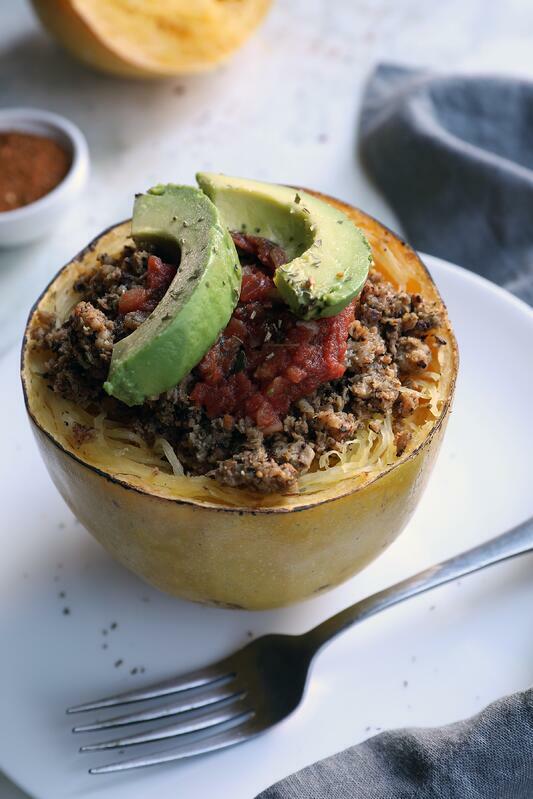 Fill the spaghetti squash "bowls" with the spiced vegetable mix and top with salsa and an avocado. And don’t worry about my broken heart. With time it’s healed, and I’ve come to love spaghetti squash for its noodly goodness too. Looking for more herb-inspired squash recipes?